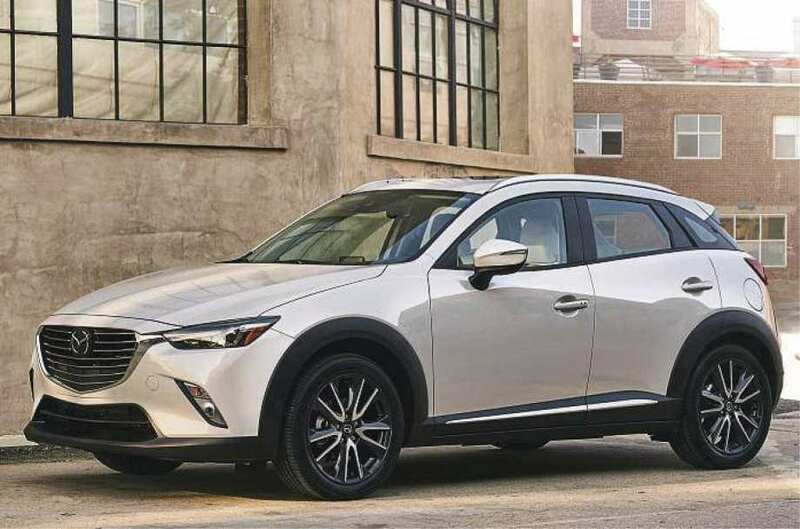 The updated 2019 Mazda CX-3 subcompact crossover utility vehicle is now available at dealerships, featuring some exterior and interior changes, along with a refined 2.0-liter four-cylinder engine. Among other changes is a new front grille design, along with new taillights and wheels. An electronic parking brake has replaced the mechanical one, which allowed Mazda to redesign the center console area where the parking brake handle was housed. For 2019, the CX-3 starts at $20,390 (plus $975 freight) for the base front-wheel-drive Sport model. All-wheel drive can be added to this or any model for an additional $1,400, bringing the Sport price to $21,790 with AWD. Other trim levels and their prices are the Touring ($22,475, front drive; $23,875, AWD); and Grand Touring ($25,745, front drive; $27,145, AWD). Our test vehicle for this report was the front-drive Grand Touring model.